The city of Portland, Oregon, lies in the Pacific Northwest of the United States and has a temperate climate with warm, dry summers and wet winters. The city is bisected by the Willamette River, which divides the commercial city center from the residential suburbs. The city has many parks and green spaces, great shopping facilities and a lively entertainment and performing arts scene, which attracts artists and art organizations, as well as tourists. Portland's transportation network is similar to other major American cities, with good road and rail commuter links across its region. 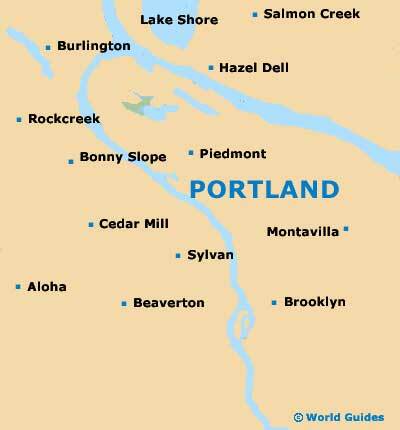 Major highways connect with the rest of America and Portland International Airport serves both domestic routes and international carriers to destinations worldwide. Forward-looking urban planning with strict land use controls has resulted in a well-balanced cityscape with high-density urban development areas separated from agricultural land. As a result, Portland is regarded as one of the most eco-friendly and 'green' cities in the world. The city's West Side contains mainly newer suburban homes, including condos, and the East Side boasts older homes mainly built between 1910 and 1950. The property market is now relatively stable and not overpriced, although the number of available properties is declining, forcing prices upwards from a 12 percent fall in 2009. 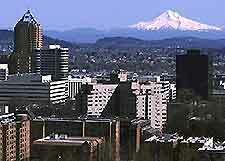 Suites and serviced apartments in Portland are easily found as the city is a commercial and industrial hub. Often in aparthotels owned by famous hotel chains, facilities are good and include fitness centers, swimming pools and restaurants, as well as excellent in-room services. Long-stay rental discounts are the norm. Prices vary according to the level of accommodation, but represent a saving on comparable hotels. A variety of properties are available in the city and in its satellite towns. Non-US citizens can purchase a holiday home without a long-stay visa - for permanent residence, buyers need a social security number and either a work permit or Green Card. A realtor and lawyer are essential, with the realtor handling all the negotiations and arrangements. A Buying Agency Agreement between you and your realtor will ensure good service. Once you have selected your property and made an initial offer, your realtor will arrange searches and a home inspection, and your lawyer will ensure that there are no liens (debts) on the property. The offer can be revised at any time by negotiations through your realtor in case of a negative home inspection result. On signing the final contract and the property re-registration, the final payment is made. Buyers should note that non-US citizens are usually not able to arrange a mortgage. Closing costs are around six to eight percent of the agreed price. There is an extensive choice of long-established realtors in Portland, happy to assist you with your needs. This agency deals mainly with upscale properties and has a useful website. This group has agencies across the region and 75 years' experience in local property. The website is especially informative. Established in 1995, this 'alternative' realtor has a great selection of homes and a fascinating website with links to everything a prospective 'green' homebuyer will ever need.